The Figueres native experienced a tough weekend due to engine issues in his Tatuus-Abarth. Despite engine’s problems lacking speed in comparison with rivals, Pujeu and FA Racing made a great effort to keep leading the series with a fourth and a sixth place at the Circuit de Valencia Ricardo Tormo. 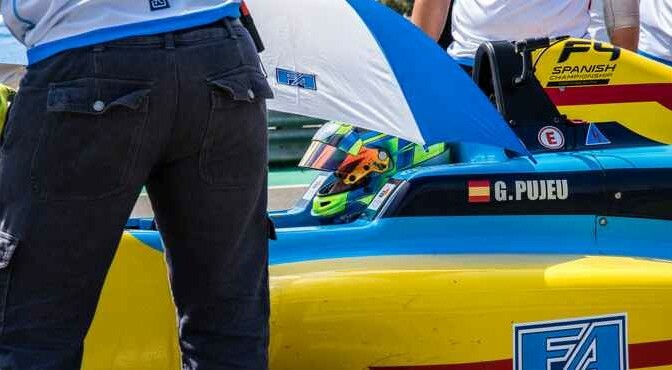 Guillem Pujeu experienced an extremely difficult Round 2 of the Spain F4 Championship last weekend. However, the young driver stood out thanks to his indefatigable fighting spirit and the ability to rise above problems. Finally Pujeu managed to meet his goal: to defend the points lead in the series after a triple win at Motorland Aragón. 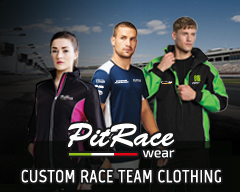 Both Thursday and Friday, Pujeu and FA Racing started to work towards a base set-up for the car in Valencia. This first contact brought a positive feedback and everything was looking for a repeat of Alcañiz. But engine issues started in Q1. Pujeu clocked a time of 1m33.511s to start from fourth on the grid but was confident for the race due to his excellent race pace. In the afternoon, the driver of FA Racing moved up to second but handed a penalty and dropped to sixth. On Sunday, engine problems got even worse and the driver from Girona couldn’t improve a lap time of 1m35.077 in qualifying to start from 11th on the grid. His only shot was to put in two strong recovery drives in the remaining races. In the second one, Pujeu put himself right into podium contention with a fourth place after 13 laps. In race 3, Pujeu was forced to retire after eight laps due to mechanical problems mentioned above. Pujeu stills sits first on 81 points in the Drivers’ Standings, six points clear of Nazim Azman. The Autódromo Internacional do Algarve will host Round 3 on 7-8 July.